Thinning hair is definitely a huge concern for most people. 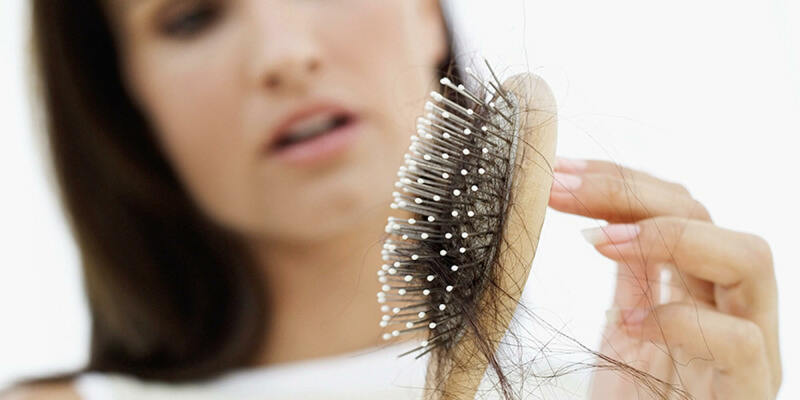 Finding extra strands of hair in your comb or brush or having strands come away in your hand even when you touch your hair are triggers for a great deal of anxiety. Here are a few options for you to consider if you want to combat thinning hair. Protein – meats, eggs, green leafy vegetables, fruit, nuts. Iron – green leafy vegetables are also great for their iron content so do include them in your daily diet. It is easy enough to choose different leafy vegetables every day so you do not get bored. Minerals and nutrients – zinc, potassium and biotin are important for hair health. Some of the items that will give you these nutrients are bananas, chickpeas, egg and sweet potato to name a few. Water – it is so important to stay hydrated. No juice or beverage is a complete and healthy substitute for water. So, regardless of anything else you may drink; include plenty of water in your diet. Balance – finally, ensure your diet is balanced and nutritious. Stay away from processed foods and fad diets. There is something to be said about getting a head massage. It is relaxing, helps you de-stress and it is good for your hair and scalp too. If you have never done it before, applying oil to your scalp may sound like such an alien idea but you have to try it to believe it. Coconut oil, olive oil and even a mixture of both along with mustard oil and sesame oil or rosemary essential oil – all of them work. They leave your scalp massaged, enriched and moist. Make this a routine – twice or thrice a week. You can always wash off your hair with a good quality shampoo and enjoy extra bouncy and healthy hair. How hot is your shower? It is good to remember that hot water is one of the reasons why your hair dries out and loses essential moisture. So go for cold head baths and see how your hair becomes stronger and less brittle and thin. Check with your doctor before you start these but a lot of hair experts suggest including natural supplements such as multivitamins, fish oil capsules, B-complex vitamins and so on. It can be a great addition to the changes you make in your diet. On an everyday basis, we all use shampoos, conditioners and styling products. It is better to use natural products and herbal alternatives and minimize the products you use. So, if you do not have to use that styling gel every day then do refrain from it. The fewer chemicals you place on your scalp, the better it is! Hair filling fibers are a nice alternative to make your thinning hair look full. It has caught the imagination of people and is a good alternative to medication and transplants etc. Final tip: do check out and eliminate serious causes for hair loss and hair thinning. Sometimes it could be a byproduct of medication or even illness.